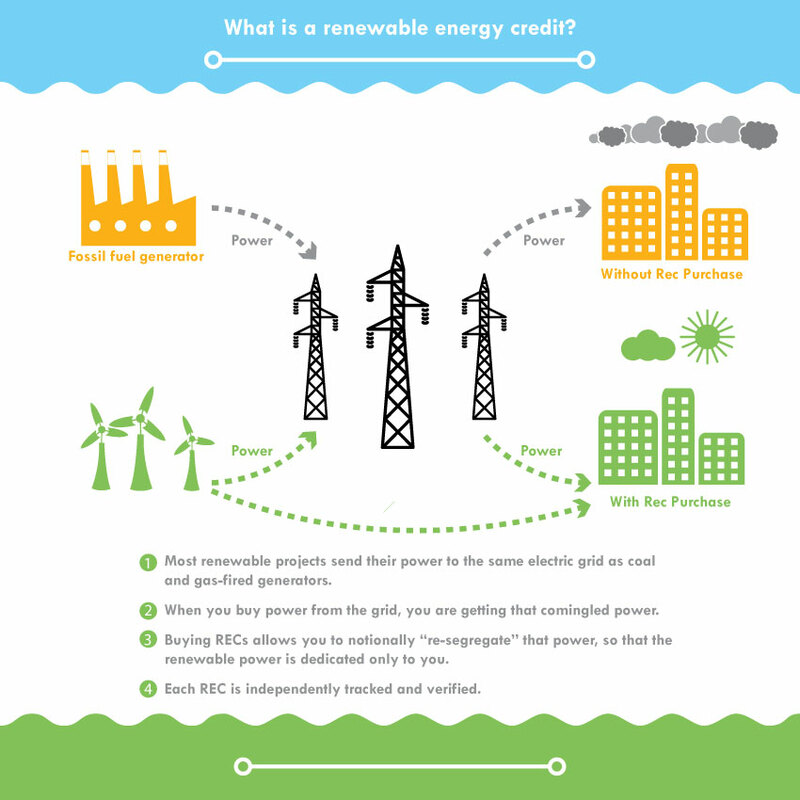 As another example of the complexities of energy in today’s world, we have the latest controversy surrounding Renewable Energy Credits, (RECs – pronounced “wrecks”). 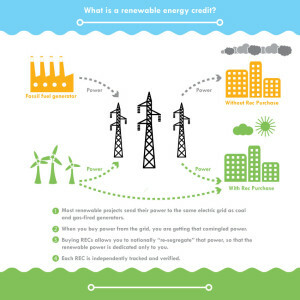 A REC is a financial tool in the form of a certificate that represents the generation of one megawatt-hour of electricity from a renewable energy source. RECs are not tied to the physical delivery of electricity and can be bought and sold on the open market. For example, a utility that has been mandated to generate a minimum level of electricity from renewable sources can buy RECs as oppose d to developing their own sources or purchasing green power from another provider. A company that produces renewable power earns RECs and can then sell them. The benefit to the purchaser is to be able to take credit for the green power and meet their commitments at an acceptable cost, while the benefit to the seller is receiving income to offset the cost of their investment. So, what’s the problem? OWOE first noticed the issue arising in an article in an Associated Press article on January 17, 2016 titled “Buyer beware: solar power may be missing key ingredient”. The premise was that individuals in Vermont who are buying into community solar arrays under the premise that they are cutting reliance on fossil fuels are really getting the same old electricity at a reduced price. Credit for this renewable energy source is being sold out-of-state to utilities to help them meet their renewable energy goals. Thus, one can infer that they really haven’t done any good for the environment and someone else is getting credit for going green. Being an AP article, it was naturally picked up by numerous papers in the US and abroad. It’s hard for OWOE to understand this logic, except for the fact that everybody loves to complain. From a pure physics standpoint, an electron is an electron regardless of how it’s produced. And every electron produced by solar power, regardless of where it is produced or where it is used, replaces an electron of electricity generated by fossil fuel. Therefore, any homeowner who installs rooftop solar or any individual who invests in community solar is helping to add renewable power into the grid and moving the energy industry in the right direction. The RECs are just a financial mechanism to encourage investors. Who really cares where the electrons end up or who hold a special piece of paper documenting their ownership electrons, as long as they are being created? Why this site do not have different languages? We are currently trying to build viewership. Additional languages would be an enhancement if we become successful.